The subject of our second instalment of the Contemporary Bonsai Masters exhibition series is none other than Masahiko Kimura, world renowned bonsai master who represented all of Japan with a keynote demonstration at the 8th World Bonsai Convention in Saitama. 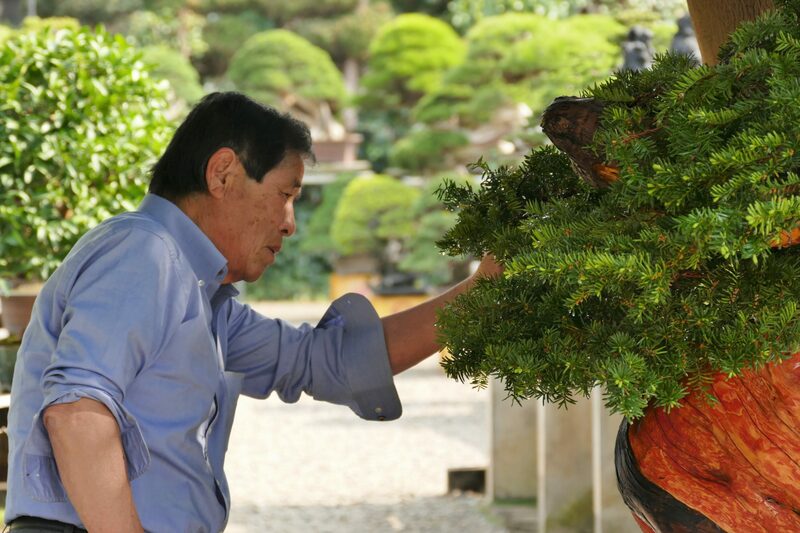 Kimura, a well-known devotee to bonsai who has cared for an created many masterpieces, has continuously cared for a specific masterpiece, not for financial gain, but as a bonsai master. That piece expresses the beautiful scenery of trees rooted on the precipice of China’s unique rock formations. Because Kimura is able to remove himself from bonsai art as a purely professional pursuit, he has created space for himself to “play” with the world of compositional, or sosaku*, bonsai. In this exhibition we offer bonsai representative of Kimura’s work that have carved his name in to the stone of bonsai history. 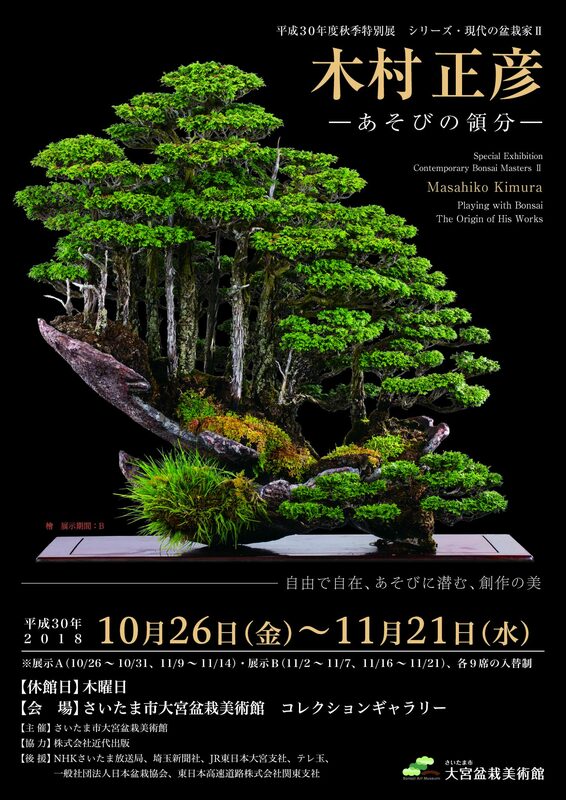 This exhibition also includes exceptionally large bonsai, over 180 cm wide, that has been called the best in the world. * Sosaku bonsai are bonsai such as root over rock and group plantings that differ from the “one pot, one plant” style that is commonly associated with bonsai. Exhibition Part A （10/26〜10/31、11/9〜11/14）Exhibition Part B （11/2〜11/7、11/16〜11/21） with 9 pieces changing for each part. In collaboratin with: Kindai Shuppan Co., Ltd.
A demonstration of creating rock grown bonsai that has become synonymous with Kimura Bonsai. 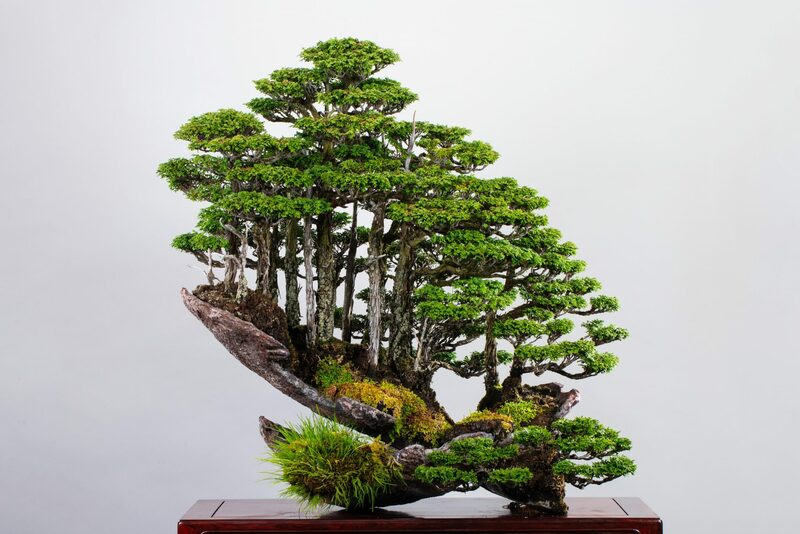 Mr. Kimura will discuss the bonsai on display and famous bonsai he has worked with. Registration will be decided by drawing. To submit for the drawing send a postcard with the following information to the Bonsai Art Museum by Monday, October 15th. To join, gather in the lobby by 1:00 with a ticket for the museum. Lectures are in Japanese only.